A Resume Template or resume templates (or by any other name) for Waitress, Preschool Teachers, or Executives, all share common elements. Cox Services of Darlington South Carolina Expertise: Painting, Loading heavy equipment, Sawing, Sewing, Woodwork, and Landscaping. Basic Resume-Outline: Waitress Job Objective lets the employer know that you are interested in a specific type of work. This can be done in 2 or 3 sentences. Example: Seeking employment within a short-order, family-style diner. Providing customer and food service to diner patrons in a friendly and timely manner. A short paragraph that summarizes your experience and skills. Example: I have 8 years of experience working for Fortune 500 companies. Specialized experience within the areas of Merger and Acquisition (M&A), Multi-million dollar budgetary development, and Project management for multiple location teams. This section outlines the specific details about your qualifications. Within this section, you give a one paragraph summary for each of your previous jobs. This should include starting and ending dates, reason for leaving, job title and duties, and any special accomplishments for each of the jobs. special seminars or training courses that you have attended. or programming skills, articles or books published. You and I both know how really tough it is to put together a Job-Winning resume. Wanting to make a free printable resume is one thing, but getting it done is another. recommendation to the following two professional resume products and services. 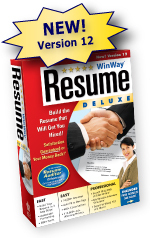 Winway Deluxe and Pongo Resume are among the professional resume industry's best. The Highly-Guarded, Top-Secret Resume Template Writing Tips used by the Pros!